Belarus has been holding firm positions in the global list of top 30 best countries for IT outsourcing since 2012. Rightly so, in part, due to the fact even back in the USSR times, Minsk – the capital of Belarus – used to be a kind of a ‘technological center’ where hundreds of computer system experts lived and worked. 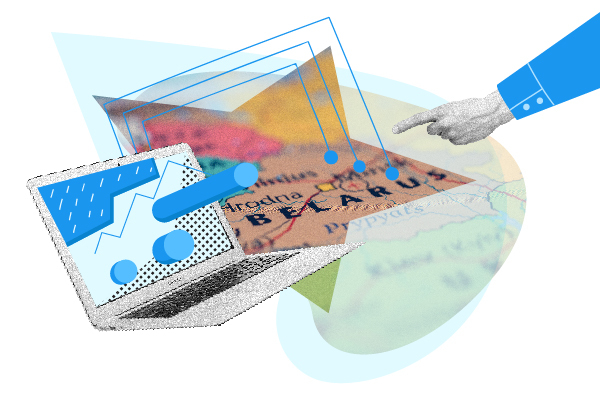 The times have changed, but the Belarusians’ passion for digital technologies has remained the same. It’s technical majors that are most demanded the country’s universities. Furthermore, there are dozens of IT trainings being concurrently held in Belarusian administrative centers. As a rule, real developers educate new specialists using materials similar in nature to what they are going to deal with in the field. Belarus is situated in the GMT+3 time zone, which allows connecting with clients based in the USA, for example, without any difficulties.